Phase 3 Now Open For Sales! 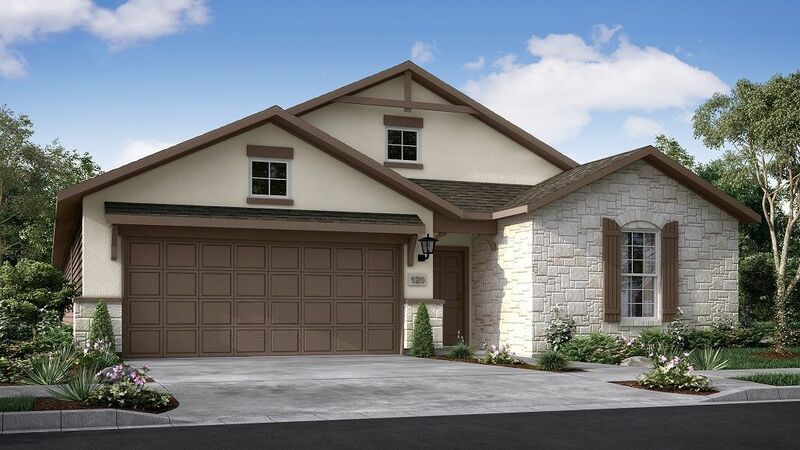 Great schools, shopping, services, recreation, natural beauty and easy access to major job centers -- you’ll find all the things that contribute to a wonderful quality of life at Founders Ridge, our new community in the Dripping Springs area. Founders Ridge is located on mature wooded acreage with a natural pond and native landscaping. It’s an inviting setting that puts you within minutes of schools in the Dripping Springs ISD, one of Austin’s highest ranking districts. You can walk to Dripping Springs Elementary! For fun-filled activities, you’ll have your choice of The City of Dripping Springs Ranch Park and Event Center, a popular spot for picnics, hiking, rodeo events and live music, Founders Memorial Park, which offers residents ball fields, a pool, covered pavilion and playgrounds, and Dripping Springs Sports and Recreation Park, with 18-hole miniature golf course, a YMCA and sports fields. Plans calls for a private community park and trail system. You’re also just a short drive from area wineries, breweries, olive groves, a driving range and pro shop, as well as a new H.E.B. grocery, Home Depot and other retailers for everyday shopping needs. And commutes for work or entertainment couldn’t be easier. Three major thoroughfares provide convenient access to downtown Austin and the Austin-Bergstrom International Airport. Best of all, these new homes by Austin homebuilder Taylor Morrison provide exceptional quality, style and selection at an affordable price. Don’t miss your opportunity. Lock in the Savings on a New Home in Founders Ridge with our Rate Roll Back on a 30-Year Mortgage Want the stability of mortgage payments that will never go up? Take advantage of our Rate Roll Back and get a low rate on a 30-year fixed mortgage. It's a smart way to get the home you really want today while planning for a secure future.